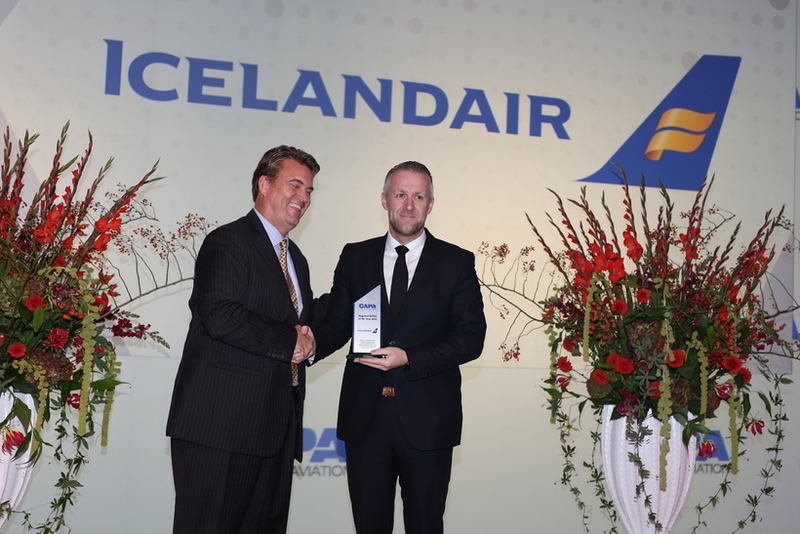 Icelandic flag carrier Icelandair was named Regional Airline of the Year for 2016 at the CAPA Aviation Awards for Excellence awards ceremony Amsterdam last week. Icelandic CEO Birkir Hólm Guðnason receiving the award. The ‘Regional Airline’ category recognises the achievements of smaller airlines or airline groups with annual passenger traffic of less than 10 million. The CAPA jury also noted that Icelandair Group’s passenger traffic was up 16% in 2015 while its net profit improved by over 60%. “Such growth and profitability levels are unusual for a small European full service airline,” the awards website reads. You can read more about Icelandair’s accolade and the other winners here.